Join us on Good Friday for our Lenten Fish Fry with service to follow. It all starts at 6:30 PM. You don't want to miss it! Join us for an Easter Egg Hunt and pictures with the Easter Bunny! The Easter egg hung will happen rain or shine! Then join us for lunch as we have a hot dog lunch! You don’t want to miss it! Join us as we celebrate Jesus Christ, our risen Savior! Join us for a special Mother’s Day service with Southern Gospel Music Hall of Famer, Ann Downing. More than likely you’ve seen Ann Downing as a regular on the popular Gaither Homecoming Video series, however, the majority of her time is spent maintaining a full schedule of church concerts and speaking engagements throughout the United States, Canada, and parts of Europe. Apart from her affiliation with the Gaither Homecoming Friends, Ann’s own versatile music style appeals to a wide range of musical tastes and age groups beyond Gaither Video fans. Ann’s unique presentation style is also appealing as she comes down from the platform to communicate with the audience on a very personal level. Her spontaneous, off-the-cuff delivery gives the feeling of a conversational visit rather than a rigid formal program. Raised on a cotton farm in rural Mississippi, Ann grew up dreaming of the day she’d sing Gospel music all over the world. Right out of high school she began to realize her dream by securing a position with the legendary Speer Family. Five years later she met Paul Downing. Suddenly, Ann's dream of singing with the Speer Family for the rest of her life seemed like something she should reconsider. Paul proposed- twice. That's quite the story! Soon after marriage, Ann and Paul co-founded a group that helped shape Gospel music as it exists today. Ann became the winner of her industry’s highest honor—the Dove Award—for Female Vocalist within a year of co-founding the Downings and went on to be inducted into the Gospel Music Association Hall of Fame for her work with the Speer Family. In September 2018, Ann will be inducted in the Southern Gospel Music Association Hall of Fame as a soloist. Today, Ann continues to expand her mark on Gospel music through solo ministry. She is also a speaker and author (Skidmarks on the Road of Life). Ann enjoys speaking at women's events and retreats, seniors' events and retreats, and lay retreats. Her favorite event every year is the women's retreat she and Paul were planning just before he passed way, Middle Tennessee Women's Retreat. Join us as we welcome back Christian comedian, Tim Lovelace. Doors open at 6PM. Meal service is at 6:30 PM. Tim will take the stage at 7. You don’t want to miss this night of fellowship and laughter!! Join us for our Pam Sunday Service. We’d love to have you! Join us for our midweek Lenten service and meal. Bring in your favorite Asian or Chinese dish! Meal service starts at 6:30PM, with service following. Come join us! Join us for our midweek Lenten service and meal. Bring your favorite chicken dish or side to go with chicken. Meal service starts at 6:30PM, with service following. Come join us! Join us for our midweek Lenten service and meal. Bring in your favorite chili dish or something to go along with it. Meal service is at 6:30PM, with service to follow. Come join us! Join us for our midweek Lenten service and meal. Bring your favorite Mexican dish. The meal will start at 6:30PM, with service to follow. Come join us! Join us for movie night. We will be viewing, “Mr. Church.” Bring snacks and drinks. Start time is at 6:30PM. Come join us! About the movie: When a young girl and her dying mother are joined by a black male cook who comes to live with them, little do they know that their lives are about to change forever. Join us for our midweek Lenten service and meal. It will be Italian night, so bring your favorite Italian dish! Meal starts at 6:30PM, with service following. Come join us! Join us for our first midweek Lenten service. It will be Agape supper. Bring your favorite soup and the church will provide sandwiches. Most of all, come share the love! On December 8th, at 5:30 PM, we will be having our Christmas in Belleville concert. This year we are excited to welcome in Jonathan Wilburn. Jonathan Wilburn has continued the tradition for three generations. Jonathan spent the first 16 years of his Southern Gospel Music career singing with his family, the Wilburns, one of Gospel Music’s most beloved and respected families. In 1996 Jonathan would move to Gadsden, Alabama where he would anchor the lead position with Gold City for the next 12 years. Jonathan was inducted into the GMA Hall Of Fame in 2017. After traveling with his son Jordan, since 2011, Jonathan is now touring solo. Doors will open at 5:00 PM. Christmas carols start at 5:30 under the direction of John Nimmo. Then your host group, The Raineys, start things off! This an event that you DO NOT want to miss. So come out, invite your neighbors, family, friends, or people from church, and be reminded of the reason for the Christmas season! Endless Highway will be joining us September 8th, at 7pm. Endless Highway stands and sings 3 Generations Strong at each concert. Currently, Jason, Vanessa, Jay, & Allison handle the bulk of the singing and playing responsibilities at concerts. Endless Highway offers a blend of Southern Gospel, Bluegrass Gospel, Acapella, and Acoustic Music. Whether it be a time tested hymn of the church, a spirited acapella song, or a toe tapping bluegrass song, Endless Highway will offer something to please every concert attendee. Attendees are sure to enjoy a mix of live instrumentation, pure acapella music, and tracks accompanied by Endless Highway's vocals. Endless Highway loves to have fun while ministering, but make no mistake, their goal is to exalt Christ, edify the church, and evangelize the lost. So come out and join us for a great night of music! You don't want to miss this incredible group! Christian artist, Steve Ladd, will be join us on August 19th for our 10AM service! As early as five years old while growing up in Dayton, Ohio, Steve Ladd felt the call of God to minister through song. The son of an evangelist, the youngster would mature to become one of the most well-liked and respected group member for some of America’s most award-winning Christian music ensembles like Gold City and The Anchormen. Although still considered a young artist, Ladd has spent the last four years traveling extensively both domestically and internationally. Performing inspirational songs like “Preach the Word” has become a personal anthem of encouragement Ladd takes wherever he goes and he reports “God moves and lives that are broken and hurting are leaving changed and encouraged at my services”. Personally, Ladd’s newest project is a reflection of his journey to freedom in the last few years power-house of music for all tastes. Professionally, he has been inducted into the Gospel Music Hall of Fame, nominated for “New Artist of the Year”, has had five Top 40 Singles and on release day, the album was in the Top 20 chart for iTunes Christian music. Steve, his wife and two children are also ministry partners with Compassion International. While the beginning of an extraordinary journey started with his family, evolved into being an integral part of some of the most award-winning Christian ensembles, the last few years as a solo artist have proven the Lord’s faithfulness in his family, his ministry, and his life. Most recently, he has joined Sonlite Recording artists “Old Paths Quartet” for select appearances throughout the year. Christian Comedian, Tim Lovelace, will be joining us at Christ UCC on Friday, June 8th, at 7pm. As a Grammy and Dove nominated artist, this nationally sought after storyteller and musician has been described as the most versatile comedian on stage today. His award-winning musical talents, coupled with his crystal clean humor, have people of all ages laughing their ribs loose! With over three decades of world travel under his performance belt, he has developed his concerts into more than just a great show. He uses humor to motivate and inspire by uniquely delivering life lessons. He also has an extraordinary way of weaving songs into his stage performance as he masterfully displays his musical abilities on piano, guitar and harmonica. Bring your friends,family. or even your church group, for a great night of laughter and music! You don't want to miss it! Join us for movie night! 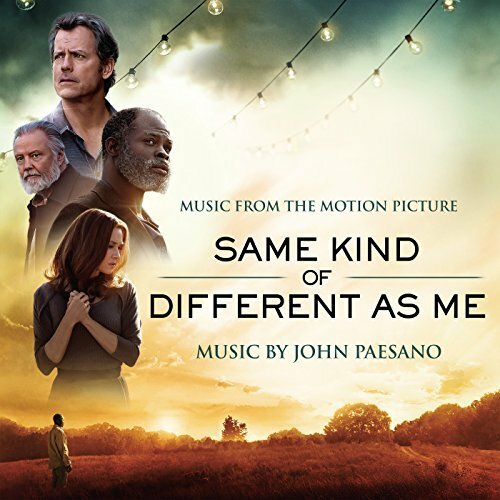 We will be viewing the movie, "Same Kind of Different As Me." It's about International art dealer Ron Hall must befriend a dangerous homeless man in order to save his struggling marriage to his wife, a woman whose dreams will lead all three of them on the journey of their lives. Come join us for movie night! Bring your snacks and drinks! Join us on May 18th, at 6:30 PM, for a Spaghetti Dinner Benefit for the Twigs Summer Meal Program for Kids! All donations taken at the door will go to Twigs. Doors will open at 6:00 PM. The Griffith Family, from Nashville, TN, will be with us on at 7PM. Tony, Julie and Bryce have known since childhood that they were called to ministry. Each of them grew up singing with their family groups and being in leadership at their home churches. In 2006, Julie came on the road with The Griffith Family and two years later, she and Tony were married. After a few years of being on the road, there was a period of time when Tony and Julie decided they needed to take a break from the road and get spiritually fed for a while. During that time, God moved them into a season for just that. God had ministered and moved in both Tony and Julie’s lives in the most powerful way they had ever seen. They experienced first hand how God answers prayers and how He would strengthen and prepare them for what He was about to do in their ministry. In August of 2014 Tony and Julie felt that God was impressing on their hearts to return to the road, 2 months later the new Griffith Family was formed. You will fall in love with this amazing family! Please, don't miss the opportunity to see them! We hope to see you there! A free will love offering will be taken for them! The Dixie Melody Boys, from Kinston, North Carolina, will be with on Friday, April 27th at 7PM. As the Dixie Melody Boys have found, the miles on the road may sometimes be long, but God continues to bless the hard work of His faithful servants, as He continually offers new excitement with each new endeavor. One would think that after 50 years, a group would grow complacent and rest on its laurels, but the current line-up of the Dixie Melody Boys immediately disproves that theory. Still anchored by bass, Ed O' Neal, along with quartet veteran Josh Garner at lead and newcomers, Willie Sawrey and Jerry Skaggs, baritone and tenor respectively, today's Dixie Melody Boys are determined to continue their great legacy while breaking new ground in Southern Gospel music. With perhaps the strongest vocal combination the group has seen in its illustrious history, the Dixie Melody Boys strive to present the very best in quartet music to glorify the Savior and uplift the sinner and saint, alike. Please come out and join us for a great night of music! You don't want to miss this! Join us for movie night! We will be viewing, "The Ultimate Gift." Join us at 6:30 and bring your snacks and drinks! It will be a great night of fellowship! Join us for our Women's fellowship lunch on April 5th at 11:15. We will be meeting at the Olympika Restaurant located at 127 N. Belt West in Swansea! Join us for our Easter service and communion on Easter morning at 10AM. Join us at 9 AM on April 1st for our Bunny Breakfast! Join us as we welcome in award winning Gospel group, The Browders, on Saturday, March 31st, at 6 PM. Come out and join us on March 31st at 10 AM for our Easter Egg Hunt! Join us at 10 AM for our Palm Sunday service! Join us for our mid-week Lenten service and meal. 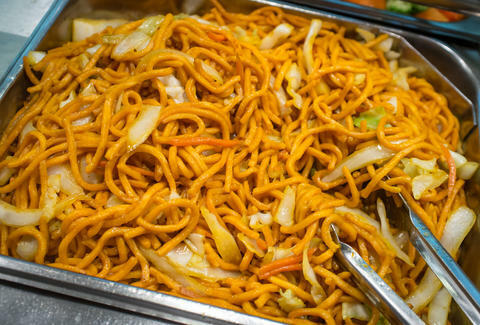 Bring in your favorite Chinese food dish! Meal service starts at 6:30 PM with service starting at 7:00 PM! Come join us! Join us on March 17th, at 6:30 PM, for movie night! We will be viewing, "A Dog's Purpose." A dog looks to discover his purpose in life over the course of several lifetimes and owners. So bring your snacks and drinks for a great night of fun and fellowship!